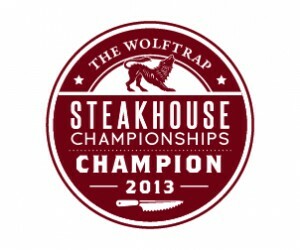 The nationwide quest to find the country's best steakhouse has come to an exciting conclusion with the announcement of the 2013 Wolftrap Steakhouse Champion of South Africa and the winner is The Local Grill in Parktown North. "The Top Three steakhouses were all excellent in terms of the selection, knowledge, maturation and preparation of their meats, but what gave The Local Grill the edge was the fantastic meat experience it offers in terms of range of cuts (including grass and grain) and even choice of bovine. The fact that you'll be taken on a tour of the meat locker if you show the slightest bit of interest, is also fantastic and says it all about a place that truly preaches steak!” said convenor JP Rossouw. The Top Three was also filled by Carne SA (Cape Town) and Little Havana (Umhlanga Rocks), both superb steakhouses. The Awards were held at Luke Dale-Roberts' famed Pot Luck Club, where his innovative platters of excellent Chalmar Beef accompanied The Wolftrap wines. Proud winner, Steve Maresch of The Local Grill and runners-up,Giorgio Nava of Carne SA and Martin Lombard of Little Havana were all in attendance to receive their respective awards. The Awards brings to a close a search that began with an open round during which the public nominated their favourite steakhouses – and nearly 200 establishments were named as contenders in the Championships. 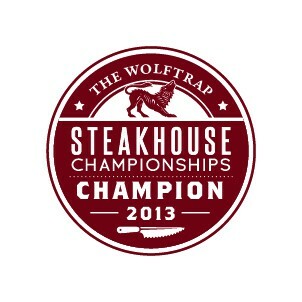 The Top Five from this nomination round then joined an expert's selection of award-winning steakhouses to go into the Play-Off Round in April where 14 steakhouses went head-to-head during personal visits by the Steakhouse Championships judges, led by well-known MasterChef SA judge Pete Goffe-Wood.